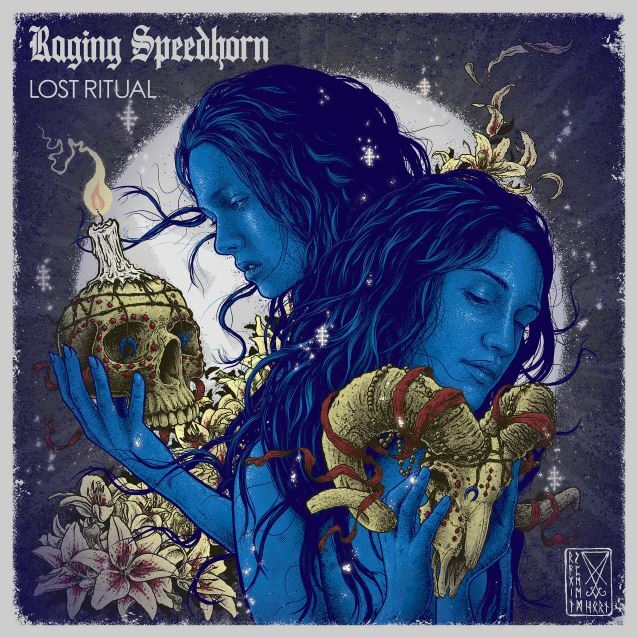 Resurrected Corby, U.K. metallers RAGING SPEEDHORN will release their new album, titled "Lost Ritual", on July 15. However, anyone who pledged on the record will receive their copy a week earlier, on July 8. RAGING SPEEDHORN guitarist Jim Palmer had this to say on the album and its title: "This album seems like a true reflection of everyone's input, a slice of all of us, if you will. It has those typical SPEEDHORN, pumping rock 'n' roll moments, and some much darker ones too. Sound-wise, it's got all the feedback, distortion, bad attitude and in-your-face antics you'd expect with a sound that should be more familiar to SPEEDHORN fans, but with a twist. "The title of the album, 'Lost Ritual', came initially from the artwork. It just seemed to fit perfectly with the image. Subconsciously, though, I think maybe the title fits even better than that, as the mojo in the band seems to be back. "SPEEDHORN have finally returned. We are really excited for everyone to hear the new album; you won’t be disappointed!" "Lost Ritual" which was produced by Russ Russell (NAPALM DEATH, DIMMU BORGIR, THE WILDHEARTS) and is RAGING SPEEDHORN's first record with original vocalist Frank Regan since "How The Great Have Fallen" in 2005, the band's first record since "Before The Sea Was Built" in 2008, and the first with their new lineup. RAGING SPEEDHORN formed in 1998 and went on to issue four records, the most successful being their second release, "We Will Be Dead Tomorrow", recorded by Billy Graziadei and Danny Schuler of BIOHAZARD fame. The band achieved chart success with "The Gush" in 2001, toured continuously with acts like SLIPKNOT, ILL NINO, RAMMSTEIN and WILL HAVEN, and performed at countless festivals across the globe, including main stage at the inaugural Download festival in 2004. 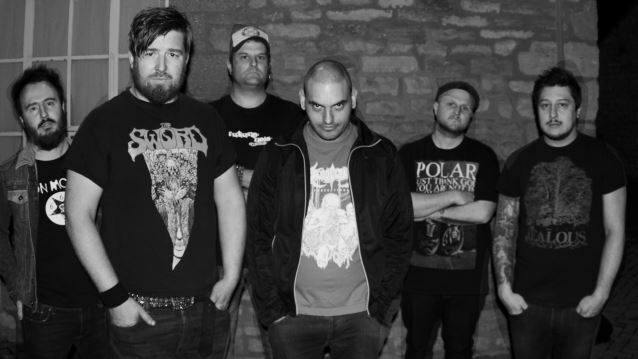 They split in 2008 following the release of their last record, "Before The Sea Was Built", and a subsequent tour of Japan.